How cold is it? Well, it was so cold that Pittsburgh's National Aviary had to keep its penguins indoors this week. 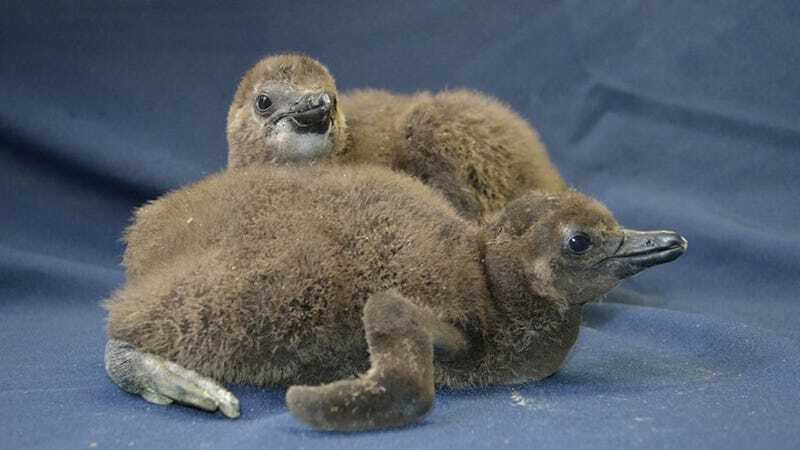 Ok, ok, the penguins are African penguins, and they prefer warmer temps, the National Aviary reported on Facebook. But TribLive says the whole crew had to stay inside, despite an outdoor habitat with warm water, warm rocks, and heaters overhead. "It's the sustained cold temperatures, especially below zero, that worry us," said Chris Gaus, senior aviculturist. But it was Estcourt Station, Maine, that took the prize for coldest corner of America—Reuters says yesterday temps dipped to minus 38 degrees F. No thanks! Winter misery in its purest form. Images via National Aviary's Facebook and AP.